find bitters that shoppers can sample, vintage barware and glassware, books, and cocktail kits like the Moscow Mule Kit which includes everything from the traditional copper mug to the ginger beer. 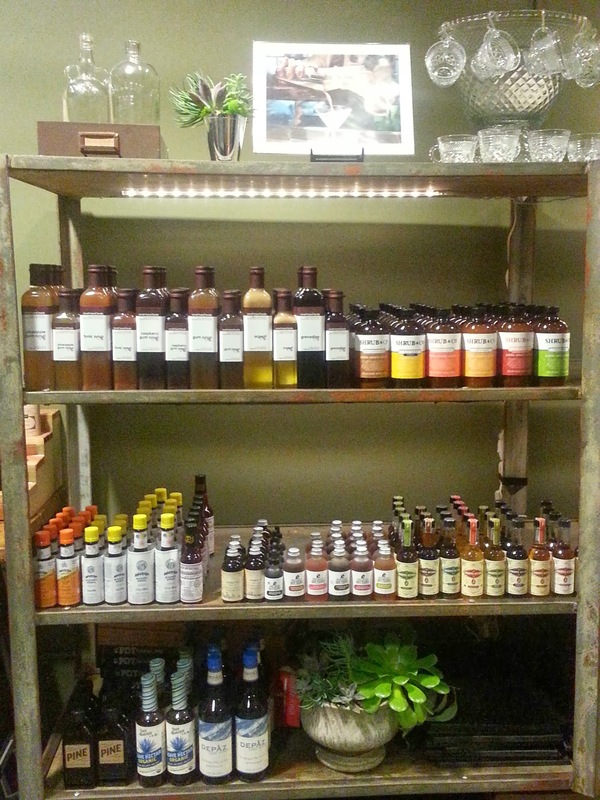 Products in this store are items that owner, Gabrielle Dion uses regularly in her line of work. 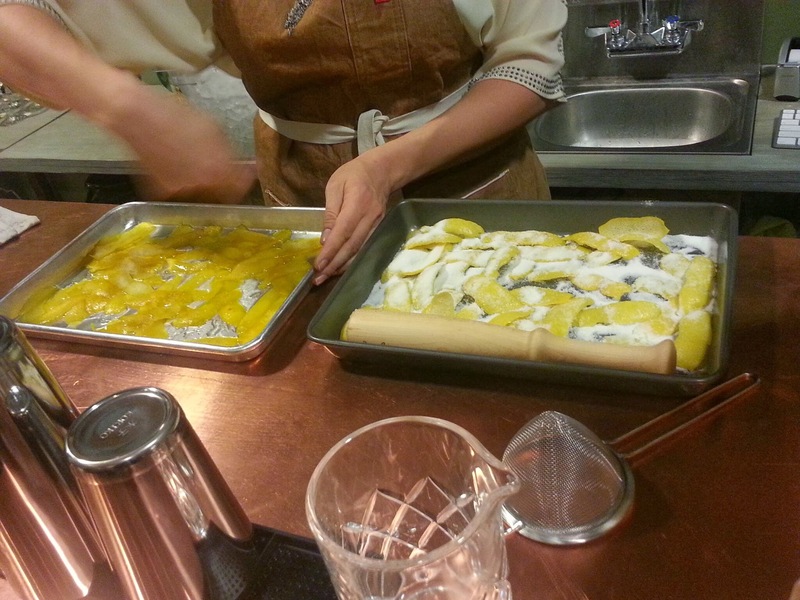 to share their knowledge with Mixing Glass customers. These classes will be ranging from how to make homemade ingredients for cocktails, as well as bar mechanics, and Mixology 101.
might I add! 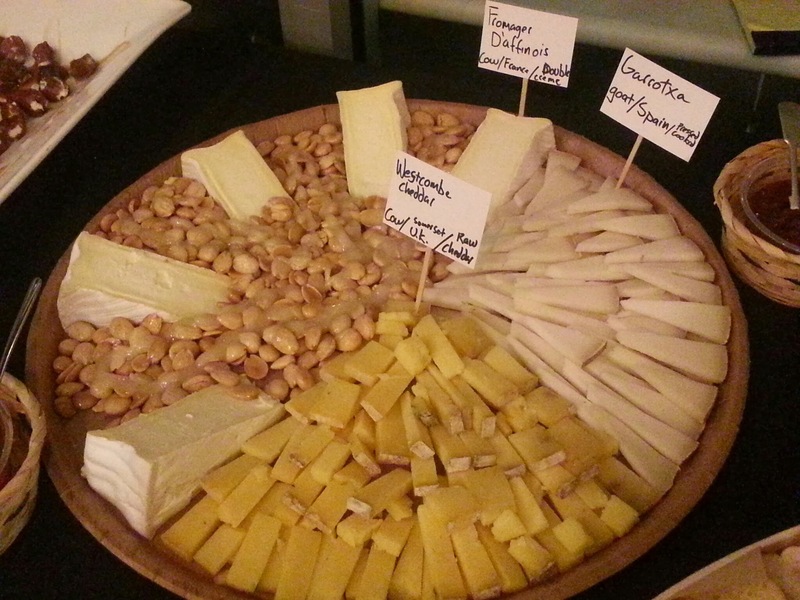 Along with the cocktails created by Gabrielle Dion, there were cocktail-inspired appetizers by Bar Chef Ricky Yarnall. We had the opportunity to watch Gabrielle Dion show us live demos of how to make a cocktail properly to make sure to have all of the right flavors and crispness to the beverage that is based upon several factors, including how you place your ice in the glass, as well as the size of the cube. 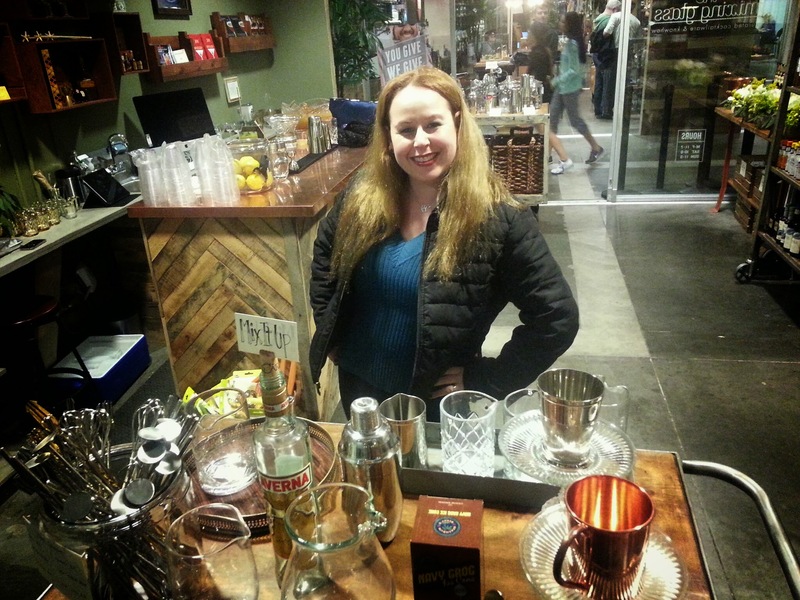 Before opening The Mixing Glass, Gabrielle Dion was named OC Weekly’s Best Bartender in 2012. She started her 10-year career in bartending at Pelican Hill Grill and also worked at Charlie Palmer in Bloomingdale’s in South Coast Plaza. Today, in addition to owning and operating The Mixing Glass, Dion is the bar manager at Broadway in Laguna Beach and also serves on the board of OC’s Bartender Cabinet trade group. Gabrielle is known for creating creative cocktails, often using different types of ingredients. 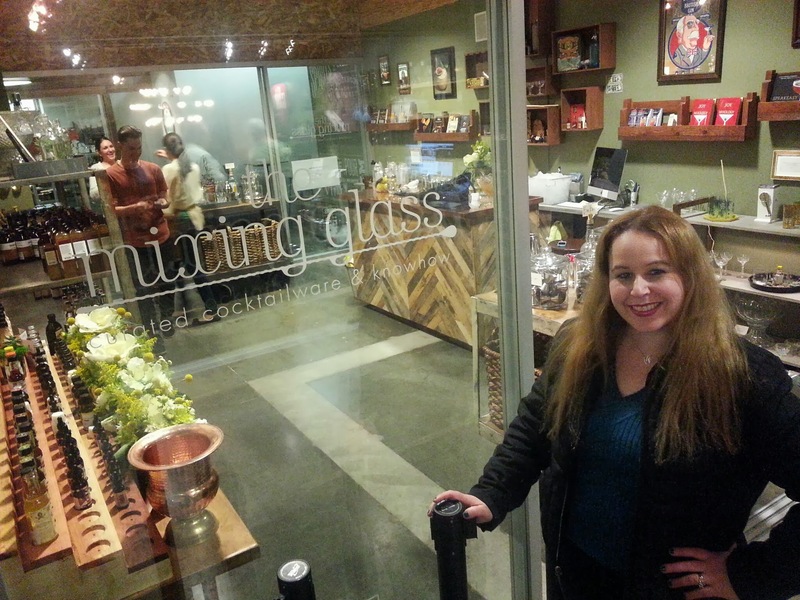 The Mixing Glass pop-up shop is now open Saturdays from 11am-6pm at The OC Mix in Costa Mesa. 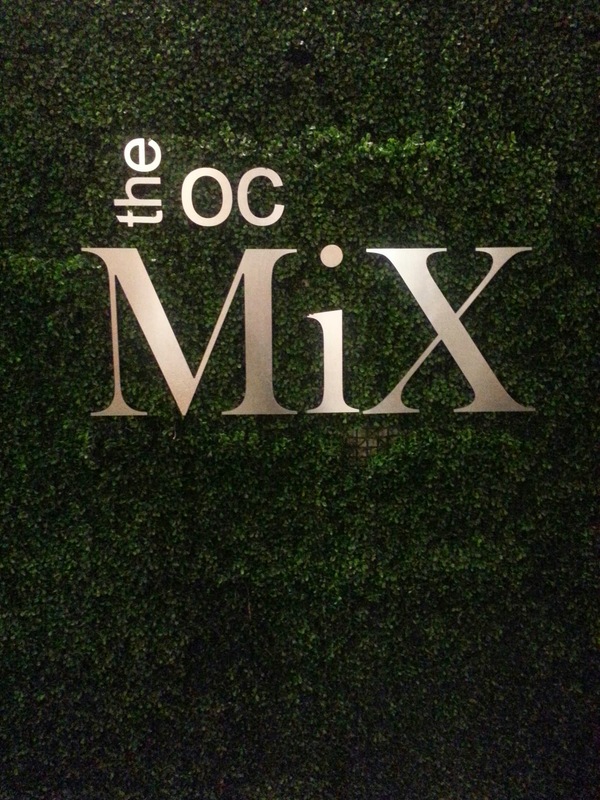 Other OC MIX articles include : MICHELLE HAUT CHOCOLATE, GREENLEAF FALL CRAFT COCKTAILS, RIVERA MAGAZINE CHEF CHALLENGE TO LIVE AND DINE & PATCHWORK EDIBLE PREVIEW. Are bar tools the same as bar stools ? 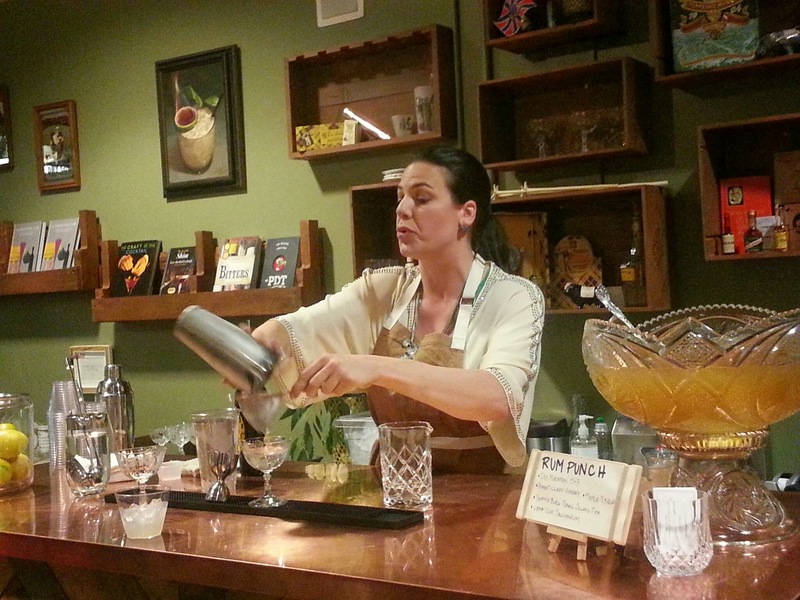 Now the OC can learn from award-winning mixologist Gabrielle Dion. All the tools, gadgets, and ingredients one could possibly need or want to take preparing cocktails to a high art form! I’m going to have to drive up from San Diego for this one! Great post, I love learning about new businesses especially when there unique. The samplings of the cocktails sounds good.. we do not have cool places like this by us.. have to travel for them.. Thanks so much Deanna:) This was a great store with some fascinating merchandise:) I appreciate the compliment! Love reading your blog! I always end up searching for similar spots here in Montreal! I really need to drop by in your neighborhood so that you can show me to these wonderful places that you always post about! 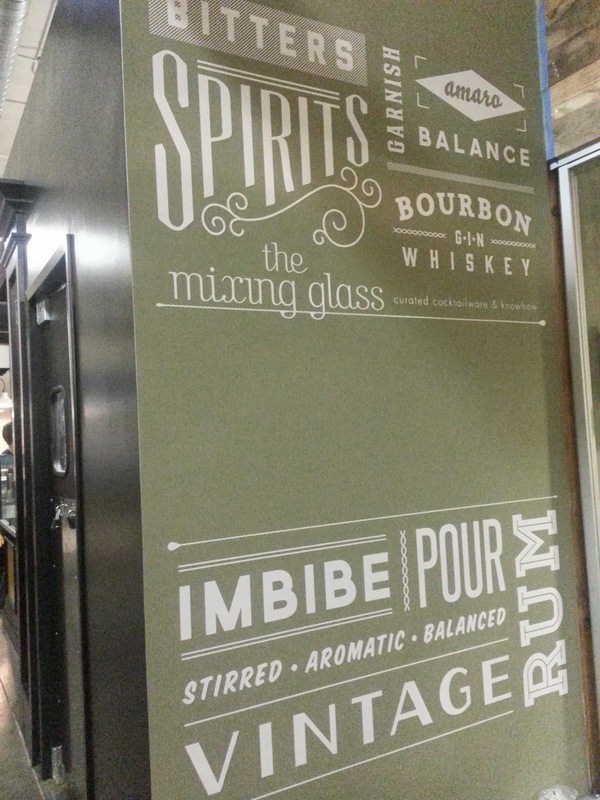 It seems like more and more people are having their own home bars. I like this idea. Do they have any other stores or plan on expanding? I’ve not seen a store like this and great niche they have going for them. I believe this store is one of a kind, but I am sure other people may want to open stores like this when they see this one:) It is truly a unique and awesome store!